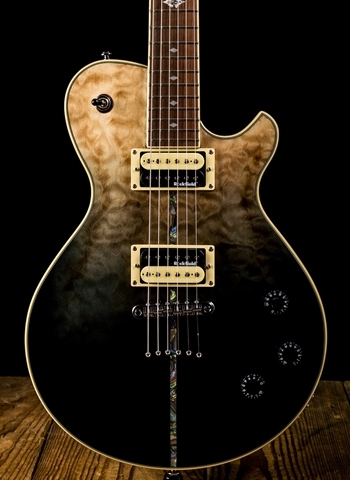 With reference to classic electric guitar construction, maple and mahogany are their choice woods for the 59er. Its neck and main body is made from fine mahogany, which perfectly supports the overall idea of tone and attitude for this instrument. The body is then sound chambered to further improve weight and resonance characteristics. Finally, this is literally topped by a solid, arched flamed maple top which Duesenberg hand select for a beautiful, yet natural grain. 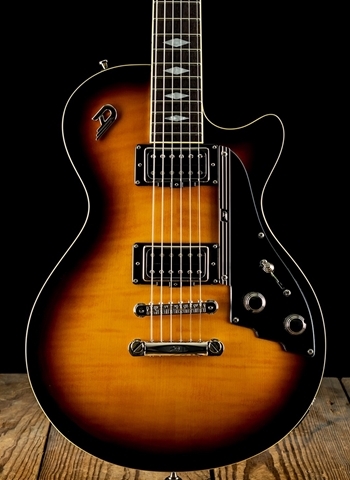 Keeping in mind what the 59er will be used for primarily, they fitted her with two of their fine GrandVintage humbuckers, providing her with the tools to become what she was meant to be - a real rock guitar. Still, they wanted to give her the ability to deliver clear, transparent sounds. 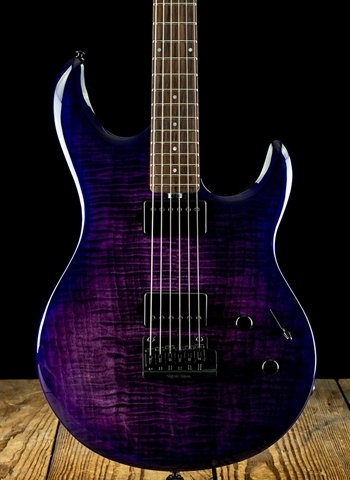 Therefore, in the middle position of the pickup selector, certain low end frequencies are filtered out of the signal of the bridge humbucker, clearing up the mix and adding the pearly trebles we all love. All Duesenberg instruments are fitted with their own hardware. 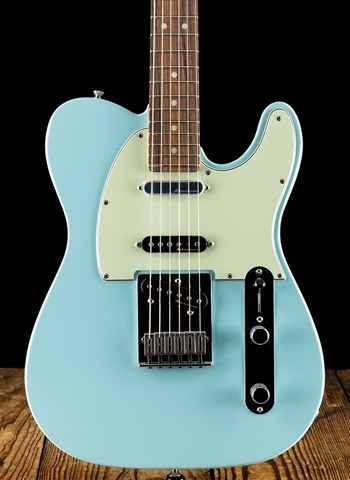 They design it with attention to even the smallest details to create truly unique instruments from tuner buttons to jack plates. All their fretboards are carefully pleked and finished by hand for optimum playability and the smooth feel they are famous for. 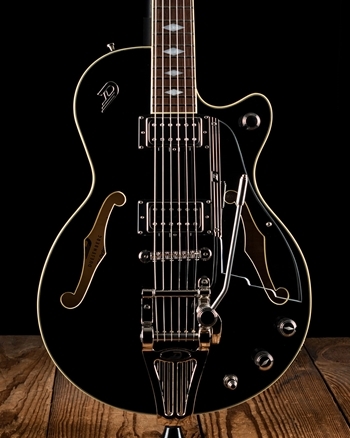 For the 59er, Duesenberg took the same Diamond fretboard inlays they designed for the Starplayer TV DLX, making this one of the very few instruments to feature them.